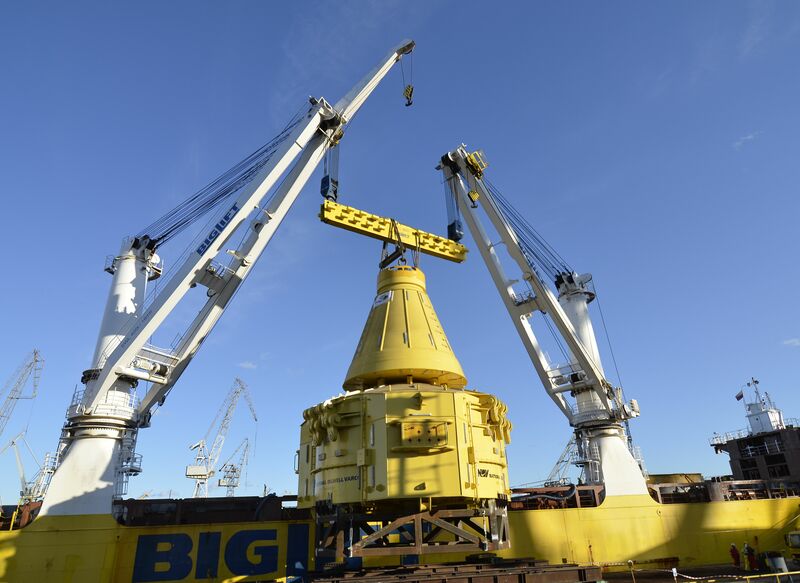 Buoy & Turret for Martin Linge oilfield. Energomontaż-Północ Gdynia accomplished construction of oil and gas loading elements – buoy and turret for Martin Linge field. Structures were delivered for Norwegian company APL which is a part of national Oilwell Varco group. The diameter of elements is 15 m and the height is 18 m. Total weight is over 500 tones. Elements of STL system are similar to the devices of the earlier order from the same client which were delivered by EPG in February this year. 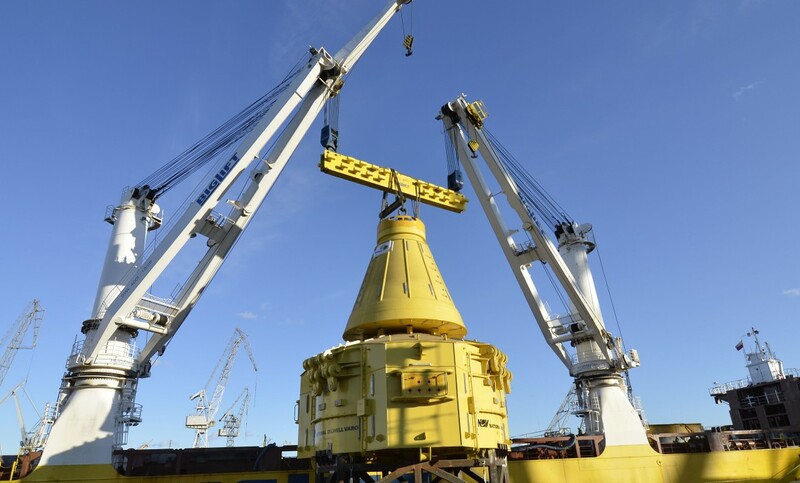 The Submerged Turret Loading (STL) system represents the state-of-art-technology within offshore loading. The STL technology offers a flexible and cost-effective solutions for oil loading tankers and Floating Storage and Offloading. The construction can be classified as first-class offshore structures. Martin Linge is an oil and gas field located in the North Sea, at a water depth of 115 meters. The gross recoverable reserves are estimated at 190 million barrels of oil equivalent. The field was discovered in 1975 and development plan was approved in 2012. First oil is scheduled for 2018.